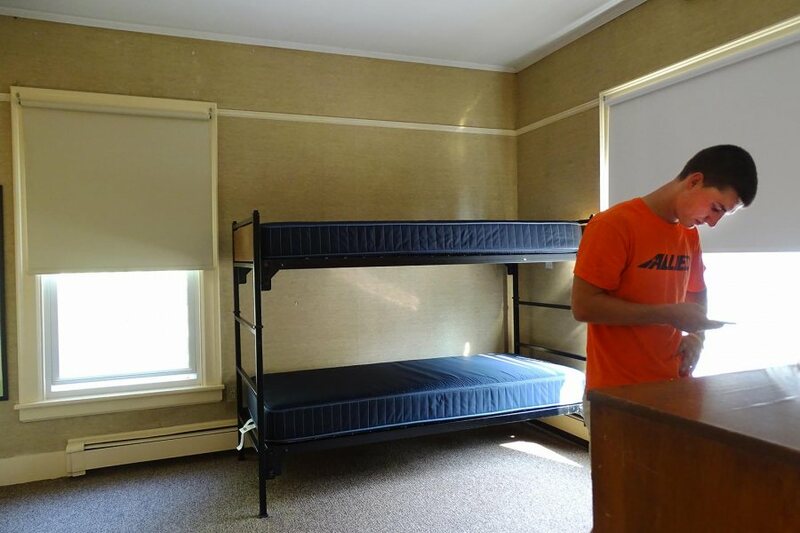 Because Bates went to the mattresses, in a sense, over the summer, swapping out more than 700 mattresses in student residences, some families in Northern Maine might soon be sleeping better. As the old foam mattresses left campus, nary a landfill got filled. Instead, the mattresses were hauled far north, to Aroostook County, where Catholic Charities Maine will sell them from three thrift stores in the county. David Larrabee, who oversees the operation for Bates Facility Services, explains that while Bates has, in the past, donated a small number of old mattresses to other nonprofits, including summer camps for economically disadvantaged children, for big jobs like this the college bunks up with CCM. If knowing about this sustainable sleep cycle doesn’t help Bates students catch some Z’s, the comfy new mattresses should, says Larrabee. The new mattresses are inner-spring, while the ones they’re replacing were an older foam style. Larrabee has been testing out the new model by installing it in a few rooms on campus, “and the feedback to Student Affairs has been good,” he says. Regardless of comfort, it was time to replace the old ones. “Some are up to 15 years old,” he says. “At least none have straw.” Meanwhile, the 950 or so student mattresses not being replaced this time around are a newer, memory-foam style that are “still in very good shape,” he adds. 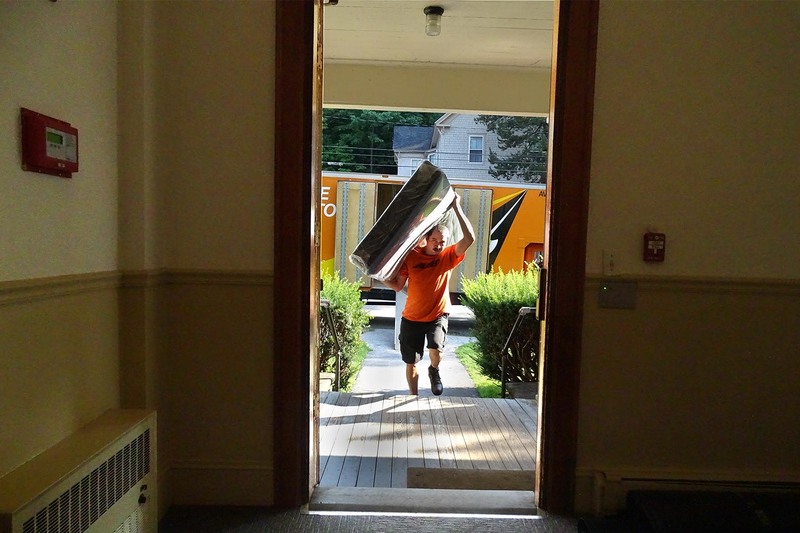 On Aug. 18, Larrabee’s moving crew was on Frye Street, removing old mattresses and putting in new ones in the various 19th-century houses, including Parsons (29), Chase (19), Moulton (22), Webb (21), and Hacker (20). As the workers pulled out the old mattresses, they also set aside many of the plywood bedboards. “With the new mattresses, there shouldn’t be a need for bedboards,” said Larrabee. Though if the bedboards go away, it might affect students more during waking hours. Conveniently sized, they’re useful tabletops for parties. Sure enough, one of the boards in Moulton was decorated end to end with happy birthday wishes. As the driver got ready to leave, his truck filled top to bottom with mattresses (as opposed to 22,000 pounds of donated french fries on another trip), Larrabee helped him shove a stack of plastic recycle bins into the passenger seat. That was another Bates donation, a few of the 200 bins that CCM volunteers are now using to harvest vegetables — rutabagas, beets, and squash — grown on donated land. Known as the Farm for ME program, the veggies supply the CCM food bank. “Donations from Bates go so much further than you can imagine,” says Shaw.